After last year's run of the Point Reyes Lighthouse 200k in January, the National Park Service decided we (SFR) should not be organizing an event that went to the Lighthouse to avoid issues with the seasonal bus traffic that takes visitors to the Lighthouse. 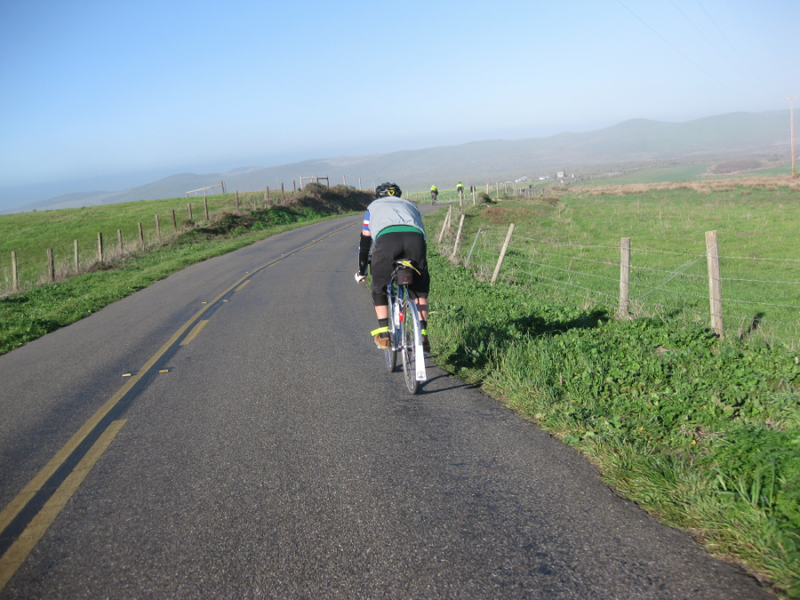 We had to come up with a new route to replace the Classic Point Reyes Lighhouse 200k. I suggested we try to go to Pierce Point Ranch and scouted a new route that was very similar to the PR Lighthouse 200k but travel to the Pierce Point Ranch and then followed the old route to Marshall and continued 4 more miles North to Nick's Cove to make for the distance difference. 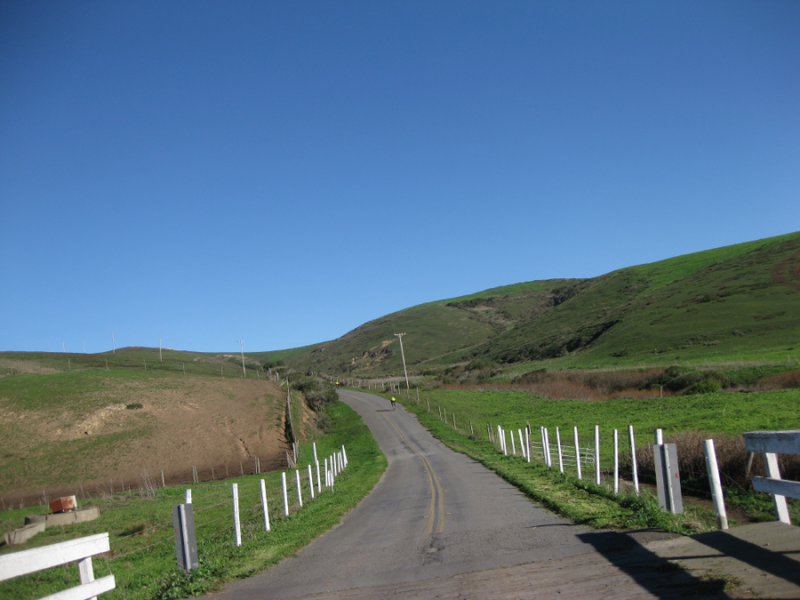 After Nick's Cove we would return to San Francisco via the "regular" route, Hwy 1, Nicasio, Fairfax... After consulting with Rob H, our RBA, I got the route approved by RUSA and the issue on the new route was solved. We would be now doing the Pierce Point 200k and hope it became a suitable replacement for our lost Classic. As always we started rolling from the Golden Gate Bridge at 7:00am. I did try to start crossing the bridge early to avoid some of the randonneuring traffic of the larger events. I was gonna ride at my pace. 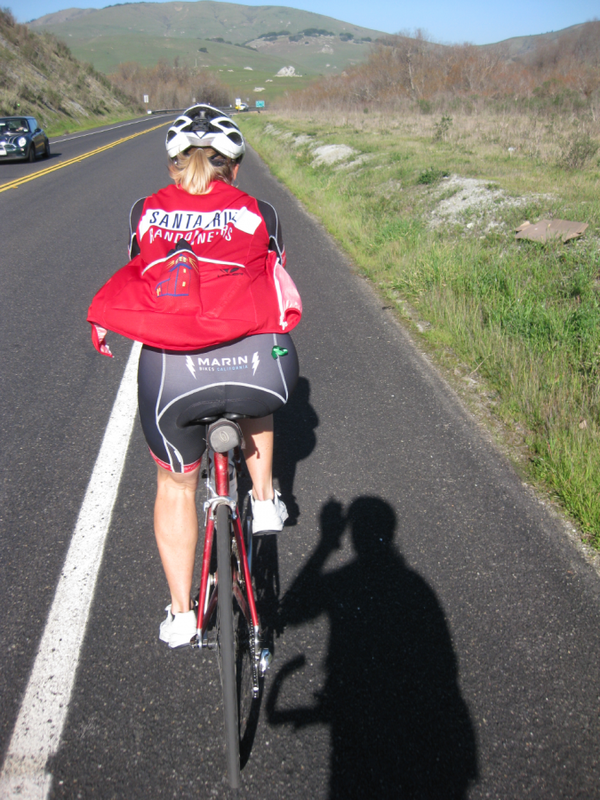 I chatted with many riders on the way to Fairfax but always tried not to work too hard to keep up with any rider. Climbed White's Hill at my pace letting some riders get ahead of me and hoped I could find somebody to ride with on the San Geronimo valley on the other side. I was alone at the start of the flat section but it was just a matter of time before a train catched up with me, I jumped on their wheel as soon as they passed me. Vidas P was leading the group and he set a brisk pace. I was able to hold on to it without too much effort but when we got to the winding road around the Samuel P Taylor park I had to slow down. Th group disappeared after a few turns. Larry S. and another rider I did not recognize, were riding with me. At the Olema hill I again let them go and maintained my pace but I could feel some damaged had been done by me trying to stay with the Vidas' group for a few extra minutes. Somehow I caught up with Larry and sucked his wheel for a few miles but then I thought it was time again to maintain my pace and he climbed a little ahead of me out off Inverness. I felt the first signs of cramps, I would need to slow down a little more if I wanted to avoid them for the rest of the ride. When I got to the Pierce Point Rd, a group of riders passed me, but Eric W. was riding at about the same pace and we has a nice chat while moving closer towards the first control. At the bottom of that last hill before the Ranch, Eric had to do a stop and I keep moving. This hill has to be ridden at a steady pace as it has some steep sections. I like it. At the control Lisa and Jason M. where signing our brevet cards. Drank one of my Ensures, used the water cooler they had there for us to replenish my water, got an energy gel and a energy gummy envelope and was on my way out in about 10 minutes. Climbing out of Pierce Point Ranch always looks worse that what it really is. Sure is a little steep but not too bad. Deb F. was taking some excellent photos of all riders as they approached the first false summit of the hill. The next miles to Inverness were very peaceful. Since on this ride we don't have controls at any store or restaurant I though it would be a good idea to have lunch on Point Reyes Station before continuing to Nick's Cove. I am glad I did stopped and ate some real food there. The 15-20 minutes I spent there help me recharge the legs for the next segment. Near Marshall Mathew F and Jesse M passed me. I was in OK shape and decided to stick to their wheel for a couple of miles to the control. After getting the Brevet cards signed by Rob H and Bruce B who where manning the control, I again replenished my water and was on my way back to San Francisco. Near Marshall I drank another Ensure and continued towards Nicasio. I keep seeing some familiar faces who were going on the opposite direction, towards the control. Andrea S caught up with me near the Nicasio Reservoir and after realizing I was dead she pulled me all the way to Nicasio, thanks Andrea! This was the low point of the ride for me and her pulled made a huge difference. She decided to stop in Nicasio, I continued but made a very short stop in front of a pair of recycling bins to drink my last Ensure. Vidas and Geoff H passed me on the hill. How was that possible I was in front of them? They had been stopping more and riding at a leisure pace. Once on the San Geronimo Valley again Larry S joined me. I was slowing down more as miles went by but when we got to Fairfax I was feeling a little better. 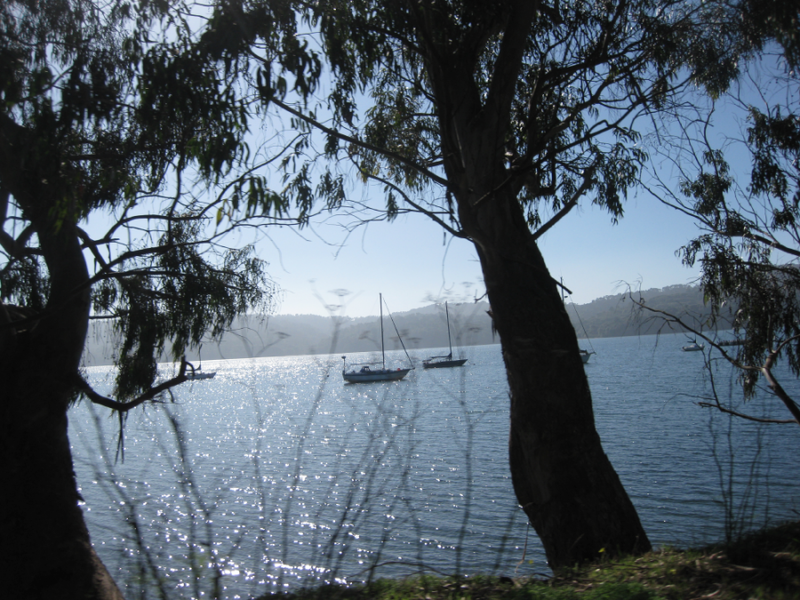 Rode with a group of 5 or 6 riders to Sausalito where I remember I had one of those 5hr Energy drinks in my bag, drank the stuff and climbed out of Sausalito towards the Golden Gate Bridge while chasing Ken J. Near the Bridge I was alone but one of the riders in the group was ahead of me. I slowed down a little to help the riders behind me join me and also stay close enough to the rider in front so we would get the same finishing time. I was able to do that but only one of the riders in our group was able to get close enough to finish in the same minute. Larry came just a minute behind. Drinks bought for the finishing riders were almost gone. It was surprising since there were about 100 riders behind us. I stayed there for a while and chatted with riders as they finished. It had been a good start for my brevet year. I was tired but not exhausted as it was the case on many brevets the year before. Hope this is the beginning of a recuperating year for me.